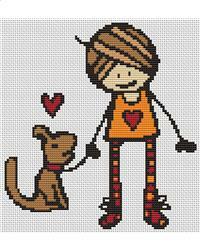 Cross Stitch Pattern designed by The Art of Stitch. Chart includes a cover page, easy instructions, a DMC material list, thread lengths page and a COLOR chart with easy clear symbols. Enjoy stitching beautiful pieces of art with a thread and needle! Our charts are designed with the stitcher in mind to ensure a wonderful stitching experience.